Is CO2 running out of gas? They were once the heavyweight workhorses of the industry, but are carbon dioxide lasers now heading for the knacker’s yard? This seemed to be the view of speakers at a press conference organised by Trumpf in London on 5 December. The technology of solid-state, fibre-delivered lasers (SSLs), they indicated, had now improved to the point where the SSLs could cut cleanly through thick materials – something that had once been the purview of CO2 lasers. Normally, when considering the purchase of a laser cutting system, the buyer has to decide between the two types of laser primarily on the types of materials that would be processed. For thin materials, the SSL is desirable as the cut quality is comparable to the CO2 laser, but it runs more efficiently, so the cost per part is lower. However, for deeper cuts or for a range of thicknesses the CO2 lasers have been more useful as they provide a higher quality cut above 5mm. These differences in quality are due to the absorption rate of the beam by the material at different angles. When the material is thinner, the angle of incidence is smaller and the SSL beam, which has a wavelength of roughly 1µm, has a higher absorption rate. However, this drops off as the thickness increases and begins to favour the approximately 10µm wavelength CO2­ laser. But now, Trumpf claims that its TruLaser 5030 fiber - a disk laser with BrightLine fibre function for beam delivery - can cut materials to greater depth without requiring secondary finishing processes as they did before. They’re also more energy efficient: a SSL costs drastically less than a CO2 laser to run, and SSLs operate at higher speeds when the cuts are made using nitrogen as an assist gas. However, it was announced that Trumpf has also managed to decrease the amount of electricity used by its CO2 lasers by 30 per cent. This is made possible by a new high-temperature cooling-system that works without electricity. The latest TruFlow generation has also increased the depth of cut to 30mm for stainless steel and 50mm for some other metals, meaning that there is still a large market for them. The improvements to the SSL systems that Trumpf has made have meant that the new generation of SSLs with BrightLine fibre function are now useful in a wider range of applications. 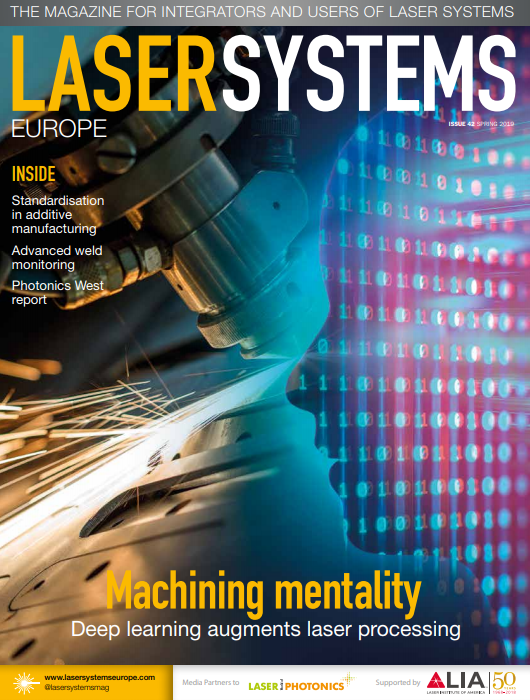 The solid state lasers are now superior not just for processing sheets with a thickness of less than 5mm, but now of up to 25mm, due to the comparably lower energy usage and higher speeds of operation per piece. However, CO2 lasers still have a role to play. But for how long, only time will tell.